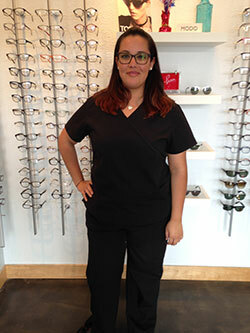 Originally from San Diego, California, Mayra has more than10 years of experience in the medical field with a specialization in ophthalmology and medical eye care for more than 7 years. She has been in Austin since January 2013 and has been working with Dr. Azadi since January of 2014. While her favorite aspect of work is the medical side of patient care, Mayra has expanded her expertise into helping Dr. Azadi efficiently run and manage the office and staff. In her off time Mayra enjoys spending time with her husband and 3 boys doing family activities or traveling.